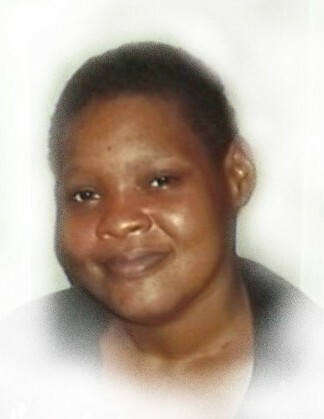 Obituary for Melissa Dannette Mays | C. L. Page Mortuary, Inc.
Ms. Melissa Dannette Mays was born on May 4, 1977 in Jacksonville, Florida to the late Leola Johnson Mays and Lucious Mack. On January 24, 2019, Melissa was called home to be with the Lord. At an early age, Melissa received Christ as her Lord and Savior. As a young girl she joined First Samuel Missionary Baptist Church under the leadership of Rev. Ralph Jennings, Sr. Melissa was educated in the Duval County Public Schools. She was best known for calling family and friends with Happy Birthday wishes, watching her favorite TV shows and cheering on her Florida Gators. She was preceded in death by her loving mother, Leola Mays; her brothers, Donald Mays, Jr. and John Mays and her sister, Elaine Mays. Melissa is survived by three sisters, Gloria Moreland, Louise Lewis (Tyrone) and Mildred Leary (Jimmy); two brothers, Milton Johnson and Ronald Mays; sister-in-law, Tameika Mays; five aunts, Eula Bronner, Johnnie Mae Thomas, Shirley Peters, Rosie Jackson and Minnie Manuel; two uncles, Johnny Johnson (Lucille) and Jimmy Jonhson (Thelma); two godchildren, Kandis Mills and Omari Dixon; a best friend, Latonya Lewis and a host of nieces, nephews, cousins and many friends.